10-year-old Tiylar Friday is in the gifted program at his school in Greensboro. Results showed that he was gifted in reading, but not in math. His mom – Janenette Holland – did not agree. So she consulted teachers who she says weren't very helpful. "You know that African-American children are underrepresented in this program," she explains. "Why not try to cultivate a parent who’s actively seeking you out and actively calling you?" Eventually, she contacted a local psychologist who retested her son in math. This time, he passed. Holland says she didn’t want teachers making assumptions about her black son. "That he is a child who comes from a home where the parent doesn't care, or he is not intelligent," she explains. In North Carolina’s public schools, a little more than 10 percent of students are labeled as gifted. 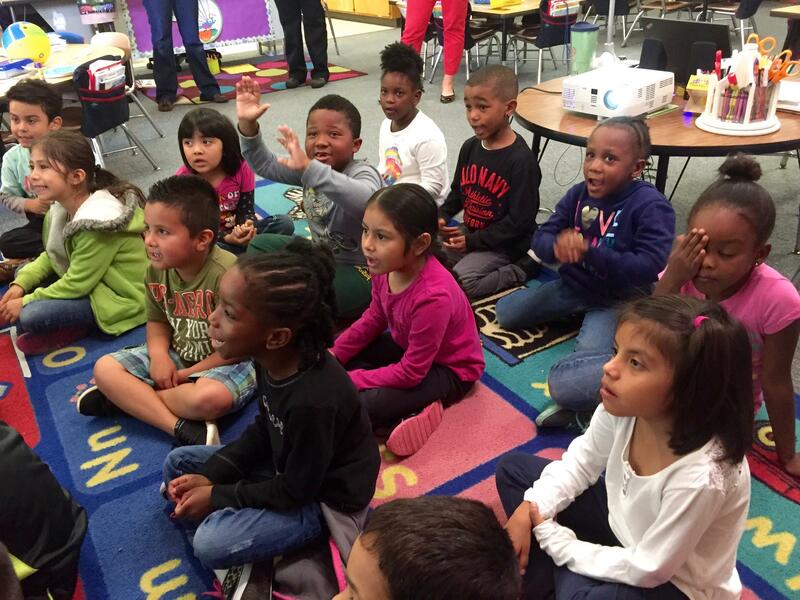 About three-fourths of those students are white – studies show that that they, along with Asians, are more likely to be labeled as gifted than their black or Hispanic peers. The most recent available data shows that black kids make up about a fourth of the student population in North Carolina, but only 10 percent of the gifted group. Deena Hayes-Greene, a member on the Guilford county school board, has spent a lot of time thinking about educational disparities. "I don't believe our school system is filled with people that wake up in the morning and spend their day consciously treating students of color, particularly African-American students, inequitably, but it's happening anyway," Hayes-Greene argues. Holland remembers a time when one of her son's teachers called her in. He told her Tiylar was struggling with a concept in math. Holland responded that her son understood the concept and that he's in the academically gifted program, which she says surprised the teacher. "What he [the teacher] sees for African-American children over his career is attached to every African-American child when they step into that classroom unless they distinguish themselves from the rest of the children," Holland says. What Holland is talking about is this idea of implicit bias – teachers unknowingly treating students differently because of things like race or socioeconomic status. Studies show that teachers' beliefs can impact how students perform, says Angel Harris, a sociology professor at Duke University. In a famous experiment, Robert Rosenthal gave teachers false information about students' performance on a fake test. The study showed greater school-year gains among students who were falsely identified as very likely to succeed. Teachers had greater expectations for them. Harris points to another study in which elementary school teachers read scenarios of hypothetical students who showed stereotypical behaviors of white or black kids. Motivation and achievement ratings were significantly higher for students who demonstrated "European/mainstream" behaviors, according to the study in the "Teaching and Teacher Education" journal. Harris says biases lead to lower expectations, and once kids miss the boat, "they’re always trying to play catch up." "By the time they’re in third, fourth, fifth grade, we see these real skill differences...driven in part by teacher perceptions of students," Harris explains. So then what would happen if teachers treated all young students as if they’re gifted? That's what Harris is studying. Kindergarten teachers at Knightdale Elementary are receiving intensive training to help increase the number of kids identified as gifted. Wake County Public Schools and Duke University are have partnered to provide intensive training to teachers at 16 elementary schools. The aim is to increase the number of students, particularly from underrepresented groups, in the gifted program. The study, "Nurturing for a Bright Tomorrow" trains teachers on how to reach different types of learners. It pushes them to have higher expectations for their students by encouraging them to use complete sentences and bigger vocabulary. April Zolnierowicz, a kindergarten teacher, says she challenges her students more than before. "Students are not allowed to say 'I don’t know,'" she states. "Students are in charge of their own learning, they have to explain their thinking and work together." Only six kids in the school are currently identified as gifted. Principal Teresa James says for too long education has been about teaching skills, "not teaching the student how to be a learner." "And now that we’ve started doing that, we're seeing more kids emerge with these behaviors and the ability to achieve, highly," James explains. James says she wants to see more black and Latino kids in the gifted program when they’re tested in the third grade. Maybe it’ll help close that stubborn racial achievement gap. Holland has her own plan for her fifth-grade son, Tiylar. He’s only in fifth grade, but she already has her eye on advanced placement classes. “Already on my radar. They were in kindergarten,” she says with a laugh. She explains if he takes advanced classes, he'll feel smarter. If he feels smart, he'll do better, go further. Further than anyone expected.